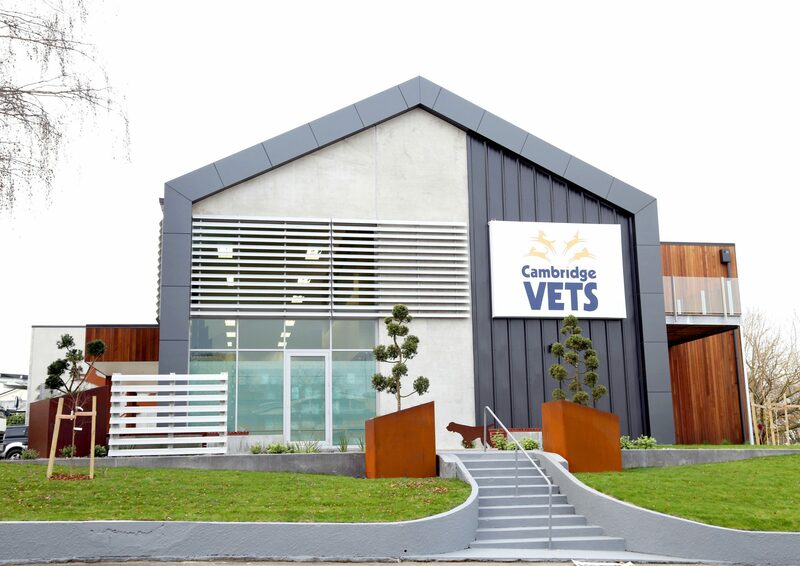 Raised upon a knoll just off the main street in the leafy, historic Cambridge Township sits the flagship facility of Cambridge Vets. 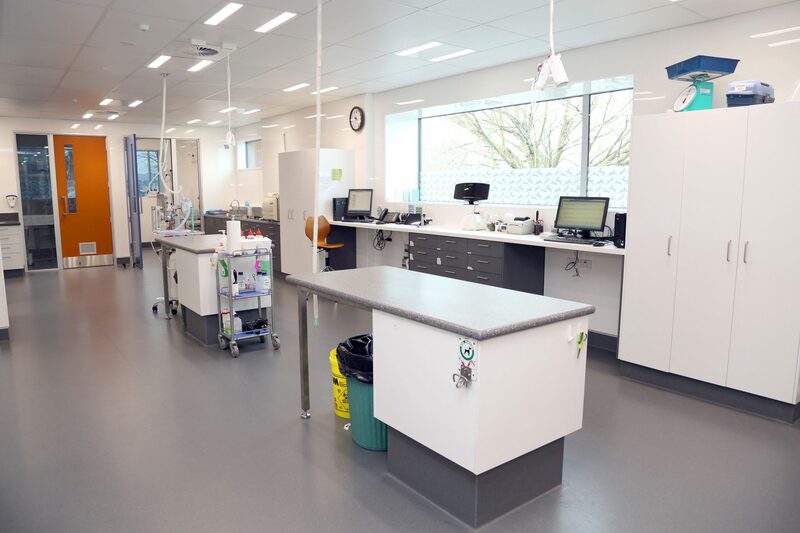 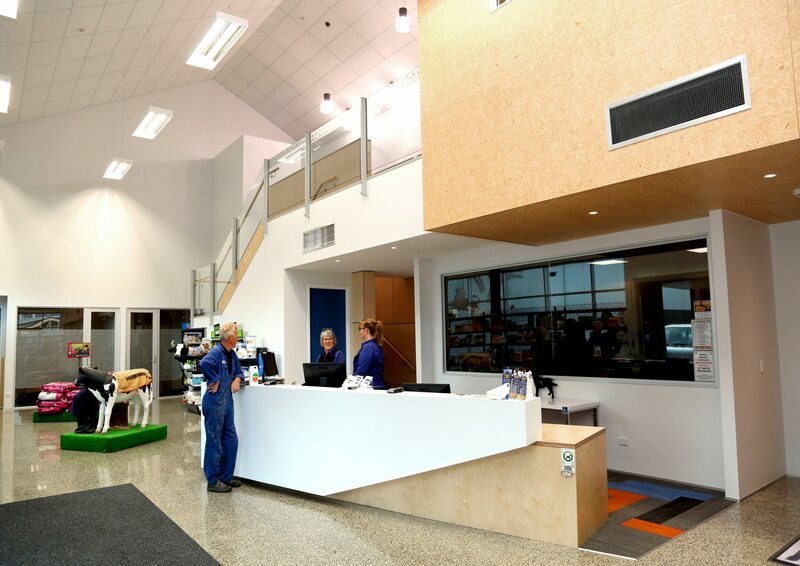 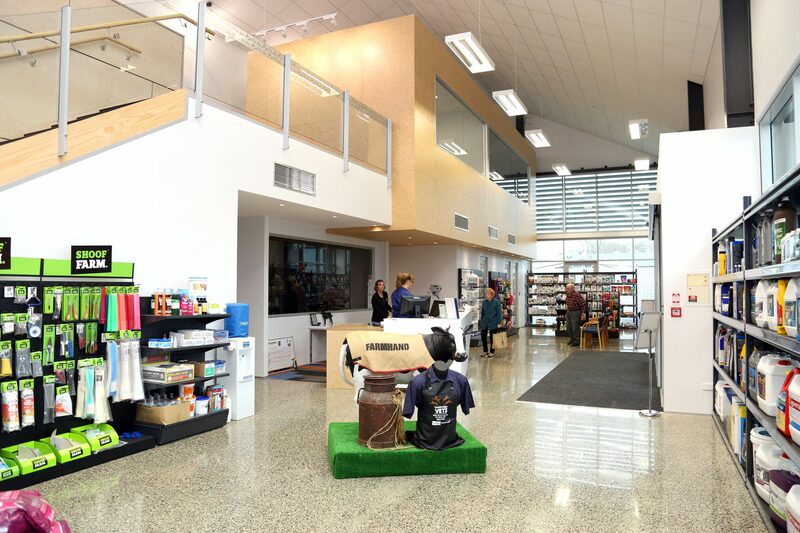 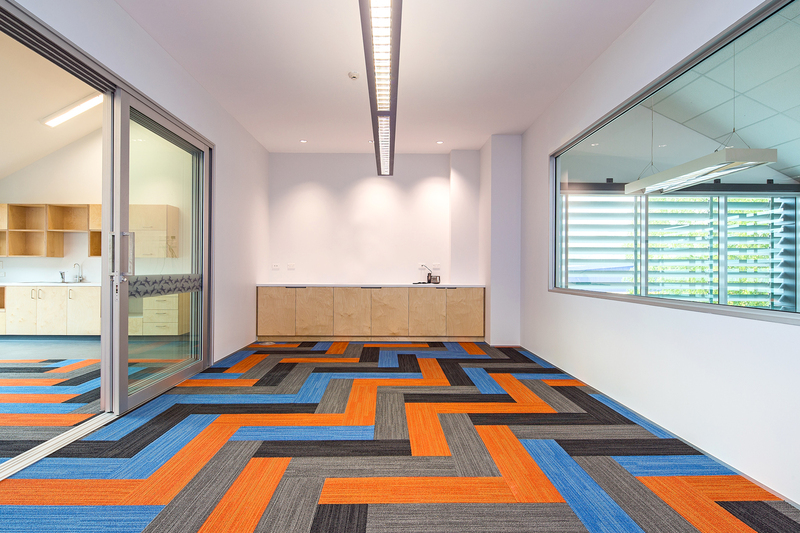 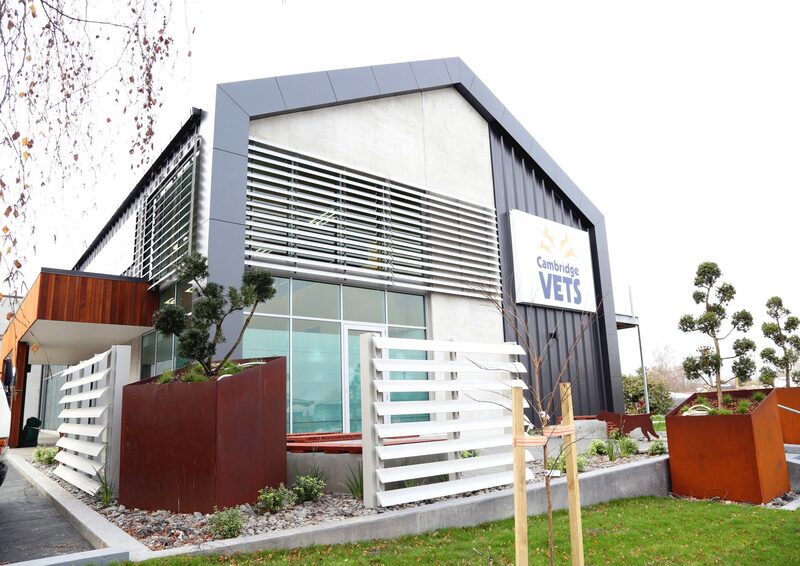 The building accommodates a generous retail area, small animal treatment and care, surgery, lab and testing facilities, extensive warehousing and administration / support facilities. 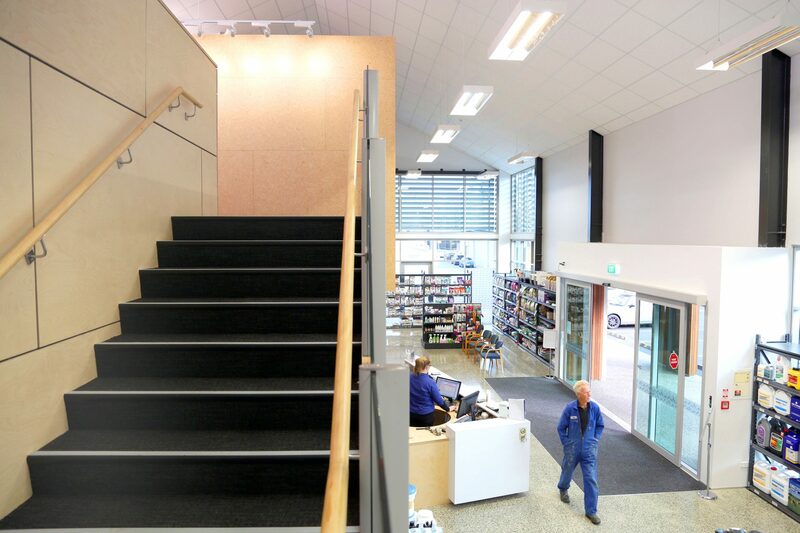 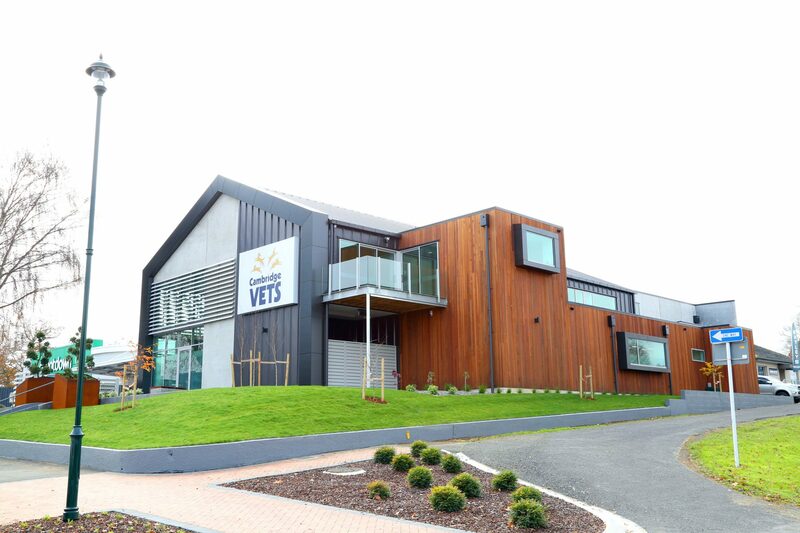 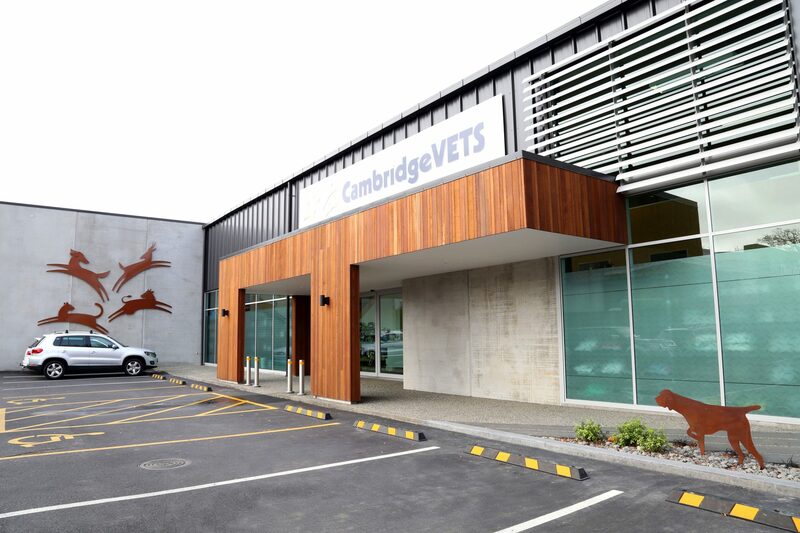 The function and context coupled with the Cambridge Vets brand resulted in a ‘domesticated’ commercial premises with extensive use of clear sealed vertical cedar, colorsteel and solar protected glazing to the north and west.